What Are The Relays Normally Open And Normally Closed? What are the relays normally open and normally closed? Let the Power Relay Supplier tell you the answer today. Normally open: When the coil is not energized, the two contacts are open. After power-on, the two contacts are closed. It is represented by the pinyin head "H" of the word. Normally closed: When the coil is not energized, the two contacts are closed, and the two contacts are disconnected after power-on. It is represented by the pinyin head "D" of the hyphenation. A relay is an electrical control device that is an electrical device that causes a predetermined step change in the controlled output quantity in the electrical output circuit when the input quantity changes to meet the specified requirements. It has an interaction between the control system and the controlled system. Often used in automated control circuits, it is actually an "automatic switch" that uses small currents to control large current operation. 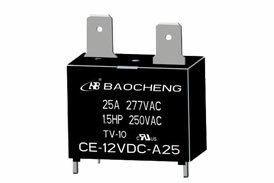 Therefore, it plays the role of automatic adjustment, safety protection and conversion circuit in the circuit. 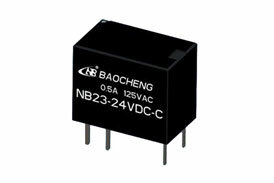 We have a variety of relays such as NC Relay, NO relay, etc. 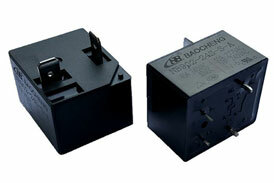 If you want to know more about relays, you can contact us. Previous: What Are The Installation Methods Of The Automotive Relay?